Articles for July 2009 Year » SoftLab-Portable.com - Portable Soft! 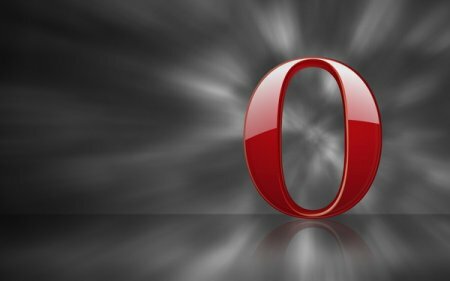 Opera is a super fast and free Web browser. Designed to make your life easier! Why Opera? Safe, secure, powerful and fully customizable, the Opera Web browser is faster and more secure than other browsers available on the market. Opera delivers robust security and a far-richer feature set than any other Web browser and it's free. Opera is the Web pioneer that delivered tabbed browsing, features lots of other great tricks for quick navigation, including Speed Dial, a quick way to put all of your favorite daily sites at your fingertips. You can also take, save and trade Notes attached to any Web site while browsing, or Create Search shortcuts from any search field on the Web. Opera is super fast and free, secure and stable, and offers lots of great tools for Web Developers. Optimize memory and improve your PC's performance. Use Memory Booster Gold to optimize memory and improve your PC's performance. Memory Booster Gold is an application which allows users to solve the problems they have regarding their memory and CPU usage. It is a feature-rich yet easy-to-use program. Whether you want to improve your PC's performance or cleanse fragmentations collected in your system, it must be the tool of choice. Memory is precious resource for computer, when it becomes low, the computer will slow down severely or cash often. IObit Security 360 is an advanced malware & spyware removal utility that detects, removes the deepest infections, and protects your PC from various of potential spyware, adware, trojans, keyloggers, bots, worms, and hijackers. With the unique "Dual-Core" engine and the heuristic malware detection, IObit Security 360 detects the most complex and deepest spyware and malware in a very fast and efficient way. IObit Security 360 has a real-time malware protection and frequent automatic updating for prevention of zero-day security threats. IObit Security 360 can work with your Antivirus for a superior PC security. Acoo Browser is a powerful multi-tabbed Internet browser based on the Internet Explorer engine (IE 5 or greater required). Acoo Browser provides a user-friendly GUI interface, including tabbed document windows, dockable panel groups and customizable toolbars. Acoo Browser allows user to surf multiple Web sites within one browser window. It also includes many advanced features such as Mouse Gestures, built-in syntax highlighted HTML source viewer, powerful built-in Web page analyzer, built-in calculator, RSS Reader, recoverable Popup Blocker, Ads Filter, ActiveX Filter, script error suppression, Cleaner, external tools, web page zooming, URL Hotkey, URL Alias, Integrated search engine support, skinned window frame, and much more. Driver Cleaner.NET has been completely rewritten from the ground up to fully support .net framework which runs in Windows 98, 98SE, ME, 2000, XP, 2003 and natively in Windows Vista. Driver Cleaner.NET is a program which helps you to remove parts of drivers that are left after uninstalling the old drivers. The program is for ATI, nVidia, Creative, Realtek, SIS, 3Dfx, S3 and more drivers. First you need to uninstall the drivers from the control panel, then reboot to safemode. After rebooting, run the program. For a good description of what steps you should take, you really need to read the help file as it contains detailed instructions and descriptions. Organize and experience all your media! Music, photos and video YOUR way - all from a single software program! Connect your PC to your home entertainment hardware and control it all with a remote! Load your music on your iPod while you watch TV! All with one easy-to-use program - MEDIA CENTER! Organize your images. The main image screen, showing thumbnails of digital camera images. An optional properties page can be opened to show details about each image. A unique full screen mode. This customizable view is designed for browsing your media on a monitor or TV from across the room. Type is enlarged and navigation is simplified for easy use with a remote device. Apex Video Converter Pro is a professional and comprehensive video conversion software that makes it easy to convert video files from one format to another. It can convert almost all video format. e.g. avi, divx, xvid, wmv, asf, mov, quicktime, rm, rmvb, vcd, dvd to mpeg, vcd, dvd, rm, rmvb, wmv, asf, avi, Divx, xvid, mov, quicktime, iPod, PSP, Flash swf, Flash flv, mp3, wma. And the very user-firenldyand easy-to-use interface lets you easily preview video files and batch convert. Very quick in conversion speed and no quality is lost! PDFTK Builder Portable is the lightweight PDFTK Builder packaged as a portable app, so you can modify, split and watermark your pdfs wherever you go. Collate - allows you to rearrange (reorder, delete, & duplicate) pages in a single document and/or merge pages from multiple PDF documents. Split - allows you to separate each page of a PDF document into its own file. Background or Stamp - 'Background' enables you to add a background to each page in a document or just the first page. The 'background' (eg a company logo, or a 'draft' watermark) must be another PDF document (the first page of that document if it has more than one page). 'Stamp' is very similar to 'background' except that the 'stamp' is placed on top of the source document. Rotate - 'Rotate' enables you to rotate a range of pages in a document. A new generation of photo editing software. PhotoPerfect combines the power of a professional photo editing software with the simplicity of one-click image optimizations to give photo enthusiasts, semi-professional and professional photographers the ability to create the best possible images. Start using this photo editor with one-click photo optimizations; then challenge yourself to achieve your dream shot. Optimize a Picture with minimum effort. Your browser does not support CSS. If images appear below, please disregard them. You've probably had this experience more than once: You're enjoying a breathtaking panorama. You take out your camera in the bright sunlight and snap the shot thinking “this one is going to be really good”. Free, award-winning drawing program for children ages 3 to 12 (for example, preschool and K-6). It combines an easy-to-use interface, fun sound effects, and an encouraging cartoon mascot who guides children as they use the program. Kids are presented with a blank canvas and a variety of drawing tools to help them be creative. iLead Video Converter Pro includes full functions of iLead Video converter, it converts between all popular formats like avi to mpg, avi to mp4, wmv to mp4, wmv to avi .It converts any video format (wmv, flv, rmvb, rm, avi, 3gp, mp4, mpg, mpeg, DivX, Xvid, dat, mkv, asf, mov, m2ts...etc) to any popular digital video playback devices (iPod, iPhone, PSP, PS3, Xbox360, Zune, Wii, Blackberry, mobile phone, etc). Video converter pro also provides video joint and video adjustment function for professional users.